As you all know that mobile world congress is the best expo in the world that present the top most phones in the month of February. Through that expo all branded smartphone take a step to the android world. This year MWC is scheduled for February 27 to March 1 and we are going to miss the most attractive smartphone Samsung Galaxy S8 and S8 Edge. 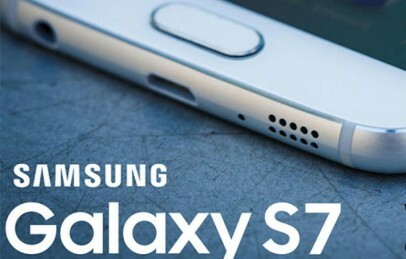 Yes, this time Samsung will not release its Galaxy S phablet at MWC. The best and the top most phone till know “Galaxy S8” is now going to be launched somewhere in of April, discarding all possibilities for biggest platform of MWC Expo. After the disastrous Note 7 blast incident Samsung has faced tough time with sales as well as production. The biggest reason for delaying the Galaxy S8 launch is, last year launched device “Galaxy Note7” while not be make her space in the android world because of some battery issues that catch fire easily and Note 7 may be blast on the spot. Samsung has faced many big damages last year due to Note 7 blast and also not having any flagship phone in market. As per an report they have loosed approx. the 1.5 billions loss in Q4, 2016 as where its expected to get sky rocking sales, company is calling its main Note7 smartphone back. They made it perfect with lots of smart features that solve our most of them problems that we want to make it change. As they trying to remove the power button in the front, trying to upgrade the camera pixels for better click, there is a biggest smart features is also that make your phone more be smart to unlock your phone they trying to made iris scanner in it through that you can easily unlock your phone. Samsung have recently posted the beautiful look of Galaxy S8 but they still trying to check all the smart features. Due to this they want to more time for the testing their features. They trying to make it more perfect in resolution display to make it more perfect look for others also. Due to all this smart features they don’t take a chance to banged it like Galaxy Note 7. Due to things they take time to launch upcoming Samsung S8 in the month of April instead of February. If you have any query regarding Galaxy S8 or more updates and more smart features in Galaxy S8 then stay connected with us. As you all know that galaxy s8 release with 6GB RAM it also have the 3D touch Display its also have 4G LTE and hybrid sim tray that solve the problem of 4G networks and make your phone more perfect then others. You can leave your thoughts by commenting below. This season we are going to cover every single update over upcoming Galaxy S8 so don’t forget join our facebook Page / Google+ Page or subscribing our website to get all the latest stuff exclusively. Bookmark this article Samsung Galaxy S8 Misses MWC Launch: Will Release in April Now!